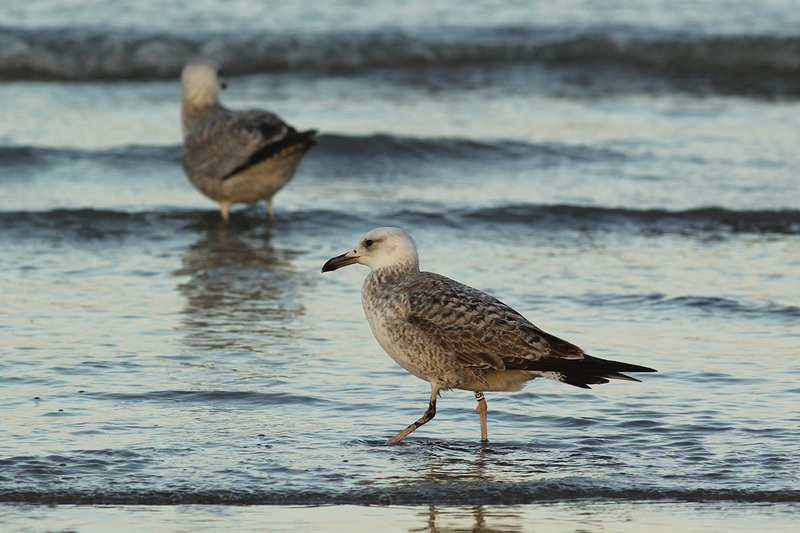 Larus cachinnans G= 1CY, December 23-31 2014, Leiden & Noordwijk, the Netherlands. Picture: Merijn Loeve & Maarten van Kleinwee. 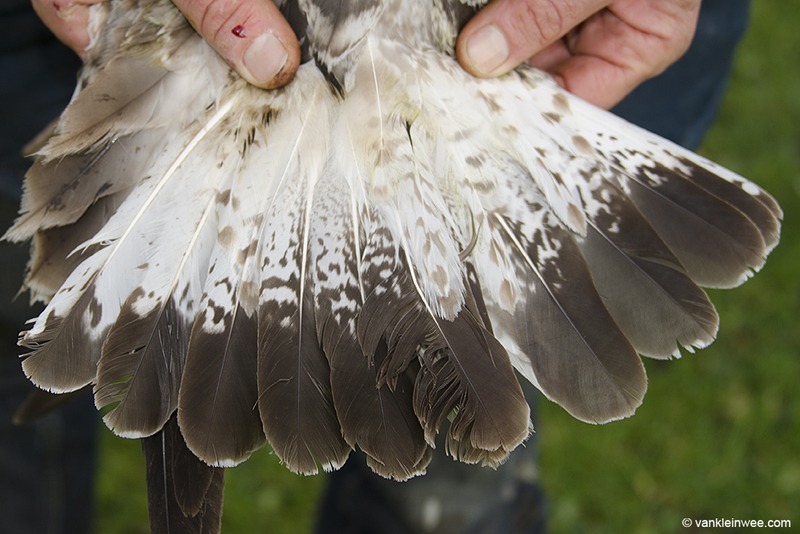 White tibia ring G=, ringed by Frank Majoor in the Netherlands: ringed in Leiden, on December 24 2014. 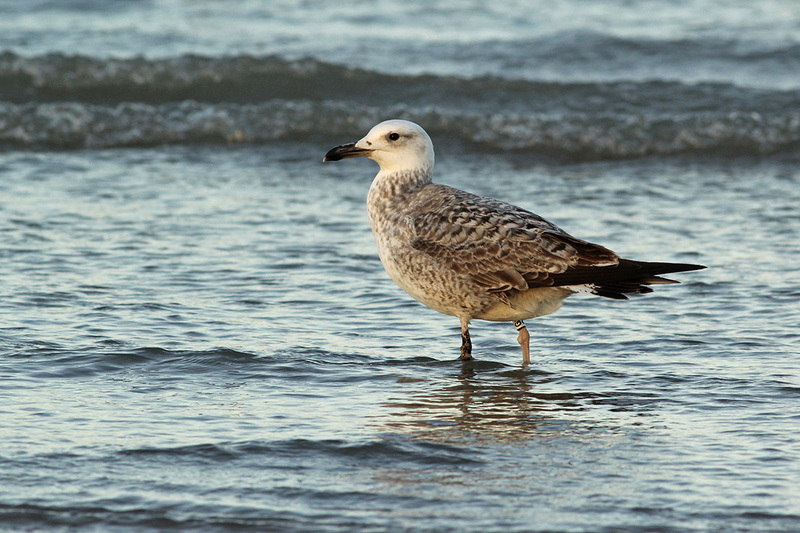 Larus cachinnans G= 1CY, December 31 2014, Noordwijk, the Netherlands. 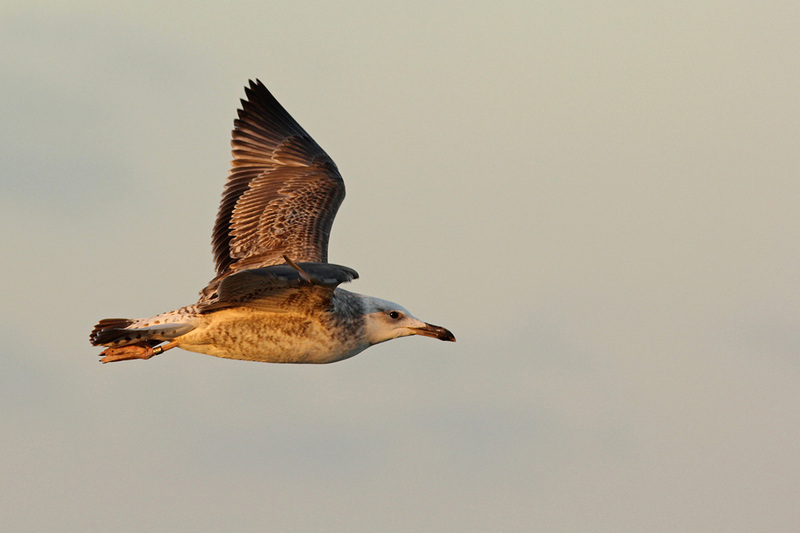 Picture: Merijn Loeve. 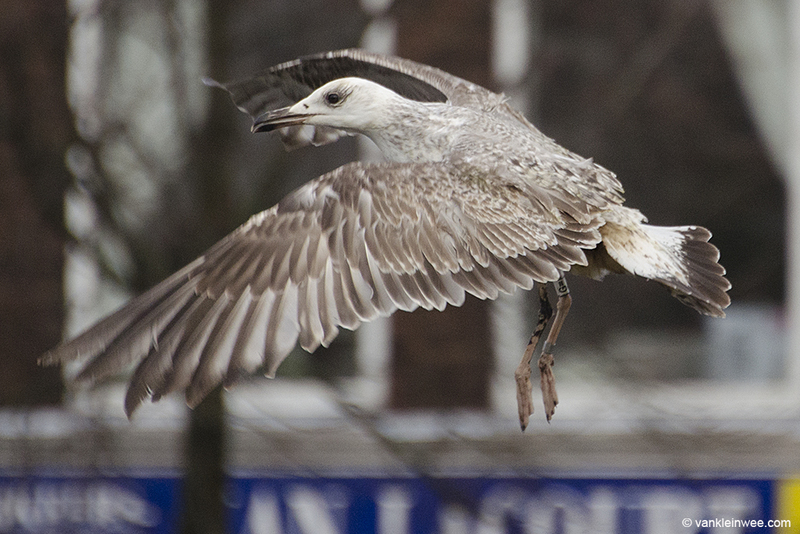 Larus cachinnans G= 1CY, December 24 2014, Leiden, the Netherlands. 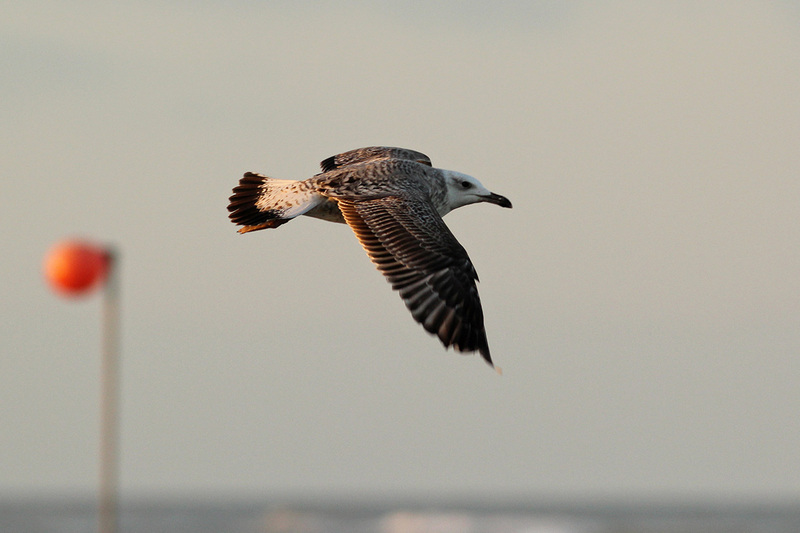 Picture: Maarten van Kleinwee. 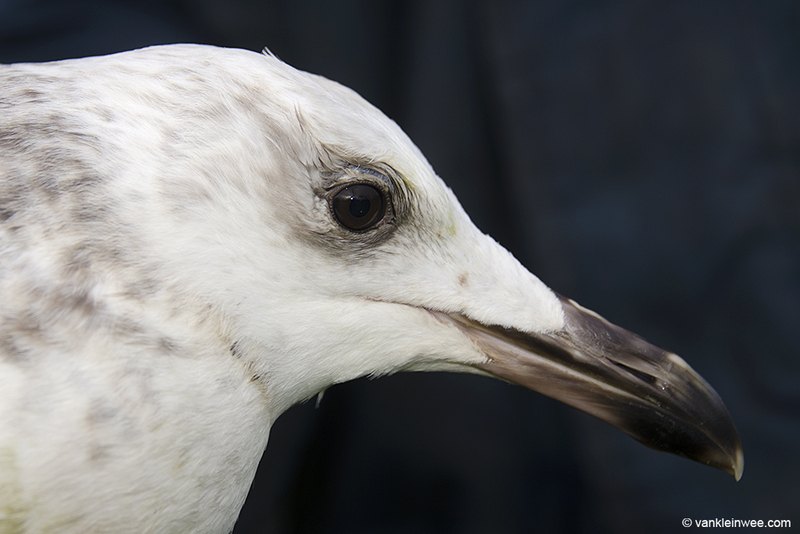 Dutch ringer Frank Majoor happened to be in Leiden in order to color-ring Black-headed Gulls for research purposes. 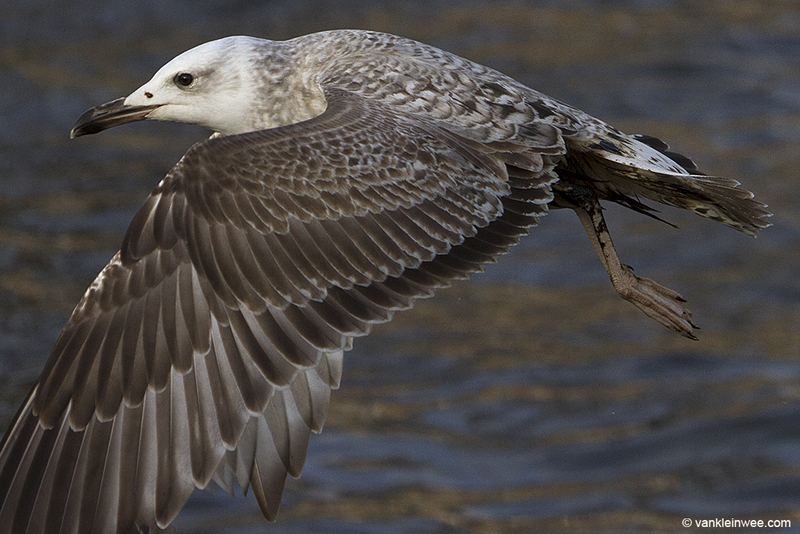 First though he was able to catch the Caspian Gull. It was cleaned up as much as possible, measured, weighed (1274 grams) and fitted with metal ring Arnhem 5.468.540 and color ring White G= (provided by Roland-Jan Buijs). 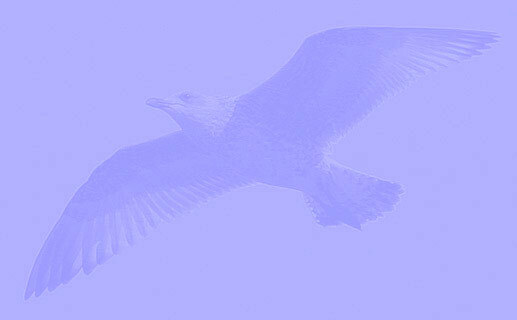 We hope it will do well and we’re looking forward to any future re-sightings! 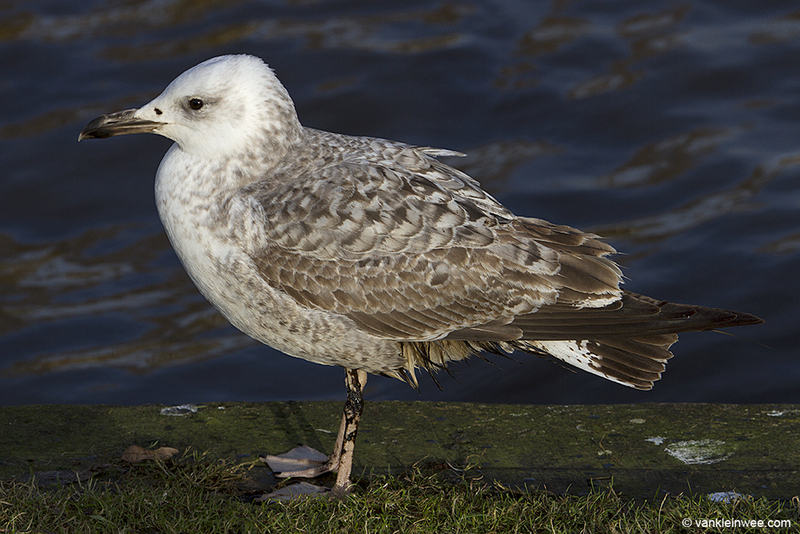 Larus cachinnans G= 1CY, December 23 2014, Leiden, the Netherlands. Picture: Maarten van Kleinwee. 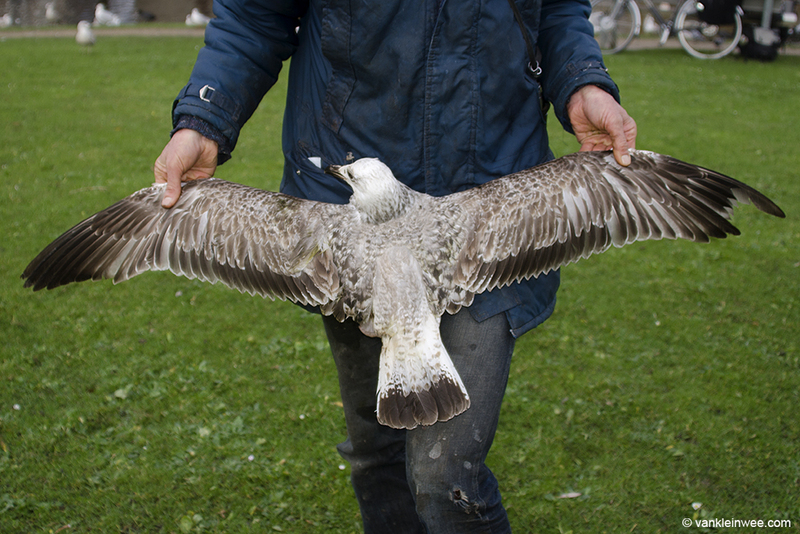 The strong winds along the Dutch coast of the last couple of days have moved large numbers of gulls inland, and also into Leiden. 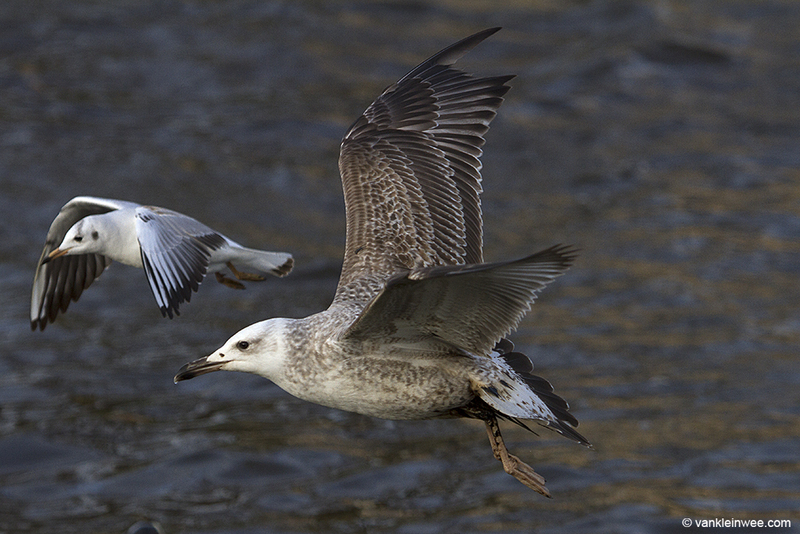 One of them was this first-calendar year Caspian Gull Larus cachinannans which was discovered 23 December. As you can tell from the photos, it was lightly covered in oil.